The cases are looking great, spring is here and all that’s left is for you to order online! Be quick to make sure you get your hands on one of the limited run of cases. 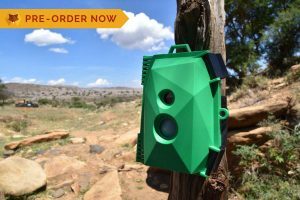 The cases are perfect for those who want to take their electronics outdoors but already have a Raspberry Pi or some of the electronics in the full Wildlife Cam Kit. Be quick to make sure you get your hands on one of the limited run of cases (the first dispatch for pre-orders will be limited to 50 and shipped on 23/05/18) just in time for the bank holiday weekend. 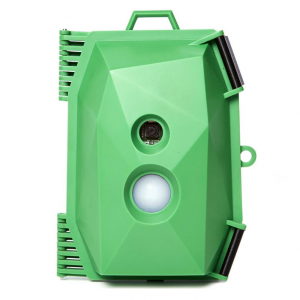 The Wildlife Cam Case has been designed and made by tech and conservation experts in the UK and are perfect for those who want to take their electronics outdoors but already have any of the Raspberry Pi models or own some of the electronics included in the full Wildlife Cam Kit. With purchase of the Wildlife Cam Case you will also have access to the free digital guides and software allowing helping you to build your wildlife camera, get it outdoors and catch those wildlife shots. The electronics mount included is compatible with all Raspberry Pi models, the Raspberry Pi Camera boards and allows you to use custom set-up’s. Also provided are the fasteners and spacers that we use in the Wildlife Cam Kit for attaching a Raspberry Pi, Camera, PIR and LiPo Rider. The battery holder will secure your power source, and keep the inside of the kit tidy. The weatherproof enclosure fully protects the internal electrical components from the elements and the hinged-clip design provides the user with easy access to the Pi’s ports and internal components. The rear cable and attachments allows for modular upgrades, for example Solar panels to charge the battery, but other adaptations might include sound capture and wireless connectivity (enabling streaming to a TV or PC). We’ve also included a robust nylon camera mounting strap to attach your camera to posts or trees to capture the best images. Can you provide a Kit with Latest Pi 3B+ and High Res latest Camera ?? Do you have a revised upgraded kit one can buy ?? The Pi Hut sell the complete kit with the Raspberry Pi A for power efficiency. The Pi Hut also sell all the components individually if you want alternative components. On the naturebytes site you gain access will to the assembly guide and resources page which has download files for the Operating System software that we use for the Wildlife Cam Kit. If this still isn’t working drop me an email at info@naturebyte.org I will see what I can do. Hi – the case is excellent (as expected) and I’m having fun hacking an IR flood to work with it. I’m using a standard USB power bank at the moment but I notice the cutout on the insert is shaped differently to the insert in my full kit, e.g. not for a Seeed LiPo Rider. What charger PCB did you design the cutout for? Great to hear you like the case! The mount was designed to be universal so it can fit a range of Adafruit and Seeed boards. We are also looking to bring out a bespoke power management board design in the future. Yes we do – when you get to the checkout there should be an option to select this. Will you be doing a version of this case that fits the pi night vision camera with the two IR lights either side of it? We have been working on using an externally fixed IR LED bank that is fixed on the outside and triggered by the PIR to be used with the Pi Noir Cam for night vision – tests are still in progress!